This entry was posted in leather care leather repair leather upholstery and tagged auto leather auto leather repair car leather car leather repairs car panel repair damaged leather damaged leather repair damaged leather repairs dashboard repair fix damaged leather fix leather fix vinyl interior leather repair leather leather interior leather reconditioning leather repair leather restoration mobile leather repair mobile leather repair services mobile leather repairs onsite leather repair services plastic repair repair leather vehicle leather care vehicle leather repair vehicle leather repairs vehicle leather restoration vinyl repair on June 9, 2010 by admin. Not only is leather more durable than coverings such as fabric, it even improves in appearance as the years pass. It’s strong, flexible and naturally adapts to the shape of your body to offer the utmost comfort. Cool in summer and warm in winter, leather upholstery is easy to care for. 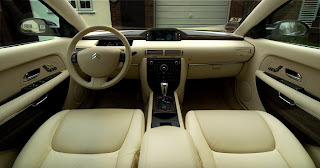 But if your vehicle’s leather were to be damaged, our technicians at Sameday are equipped with a premium OEM repair system. Our technicians use a computerized system to guarantee perfect color, sheen, pattern and grain matches for all their leather repairs.